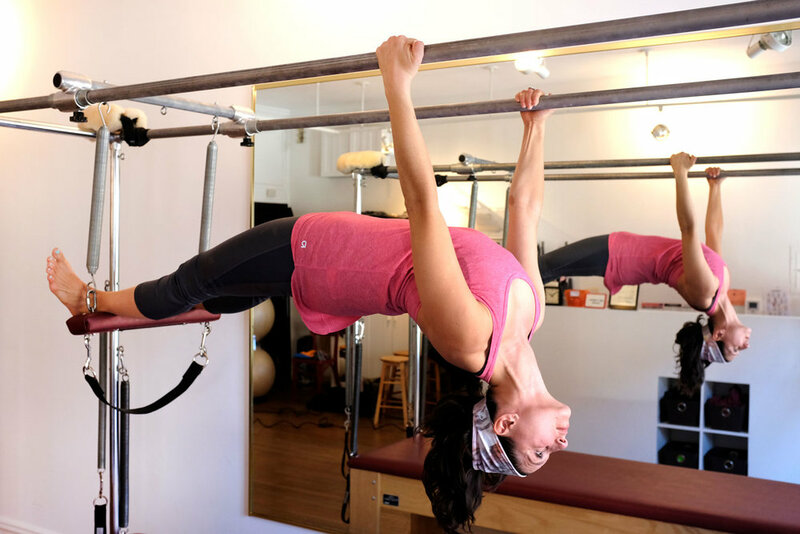 The Pilates Garage is located on the border of Park Slope and Gowanus in Brooklyn, New York. Our studio was mentioned in the New York Times as one of the small businesses helping make Gowanus a rich and textured community. Our address 441 3rd Avenue at 8th street is conveniently situated just one block and avenue away from the F and R trains. The garage staff is certified and highly adaptable. We can shift from the healthy client looking to work for challenge and flow in the method, to the post injury, elderly, special population, prenatal and/or postpartum client who needs a more modified and tailored routine. "I took an introductory set of lessons from Donnell. I was interested in exploring the modality and was also suffering from a bit of stiffness and back pain. First of all, I want to say that the work was unbelievably helpful. Donnell was very astute and a master diagnostician. The work we did targeted areas that I hadn't even considered prior, and has led to reduced pain and a lot more flexibility. Second of all, Donnell herself was a phenomenally good instructor. She's very friendly and supportive, coaches well, and made me feel supremely comfortable throughout our sessions. I would recommend her highly." To book a Pilates or Alexander Session please e-mail the studio during our office hours. To book a mat class you may do so through our Mindbody reservation system.